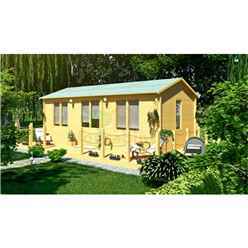 We have a large range of Log Cabins at the cheapest possible prices with Free UK Mainland Delivery. We stock 19mm, 28mm, 34mm, 44mm and 70mm Wall Thickness Tongue & Groove Log Cabins all at affordable prices. 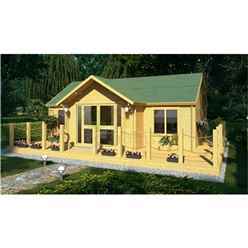 All our wooden log cabins and garden buildings come with roof mineral felt and full set of building instructions. We offer a bespoke service on all our log-cabins - so if you want to tweak a design or have some plans or just a sketch - please contact us and we will get you our best price.